Ever watch a dog show and marvel at all the beautiful breeds? Does the sight of a German Shepherd working as a police dog, or a Labrador doing detection work make you long for a dog like that? But how do you know if a breed is a good fit for your actual situation? 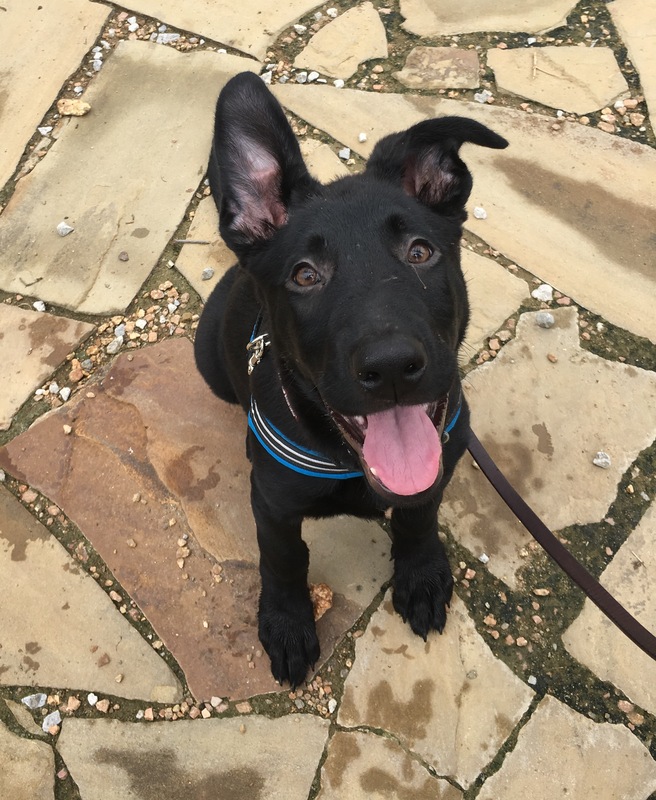 Am I ready for a puppy…..what type of puppy is a good fit for my lifestyle? 1. How many people live in your home, and how does each person feel about adding a dog? Is anyone afraid of, or allergic to dogs and how would this affect your choice of breed, or even the wisdom of adding a dog? What about other pets? Do you know if your current pets would enjoy a new dog, does your current pet enjoy the company of dogs? 2. What family members will be responsible for taking care of the dogs needs and are they likely to follow through? 3. How many family members are old enough to be around the grown dog unsupervised? Very tiny dogs can be accidentally injured by children, and very large dogs can accidentally injure small children. Who is responsible for supervision? 4. Who will be supervising younger children around the dog and who will be teaching both dog and children how to interact appropriately? 5. What is a typical work week, how much free time is available for training, exercise, and enrichment? Is the family already so busy with work, and activity commitments that a puppy might not be a good idea at this time? 1. How large, or small, is your home. Do you live close to parks, hiking trails, lakes and other exercise options? What size dog with what activity level would be a good fit? 2. Do you have a fenced yard? 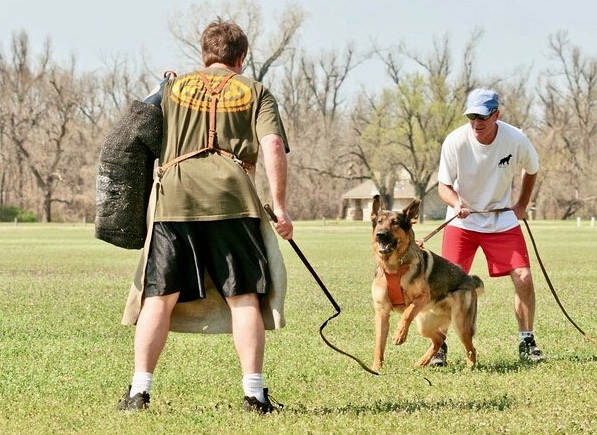 How do you plan on exercising and containing your dog? 3. If you rent, are you permitted dogs and are there size or breed restrictions? Would a barking dog be a problem? If so, is the breed or dog you are considering known for being vocal? Third, start researching breeds of interest. 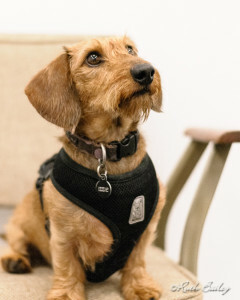 This miniature Dachshund has a wire coat that requires special care. 1. How will the size of this breed work with my family, and home? Might a large dog knock over my toddler, myself, or aging family member, or might a very small dog be stepped on by rambunctious children? Am I able to physically control an adult dog of the breed I am considering? If not, how will I ensure I can safely manage a fit adult dog of this breed in public, at the vet, when I have guests? Some breeds grow large, strong, and powerful, others are quite small and even delicate, consider your family, your area, as you determine what would work best for your needs. 2. What are the coat care requirements for this breed? Does it require regular hair cuts, brushing, bathing, professional grooming? How much would grooming cost and can I afford this grooming for the lifetime of my dog? Who would be responsible for daily brush out? What about shedding, does this breed shed, how much? What about drool, is this a wet mouth or dry mouth breed? How does your family feel about drool on the walls? Different breeds have differing coat care needs, consider the long term care involved. This Havanese requires daily brushing or it’s coat will mat. 3. What are the expected health care expenses for this breed? Does this breed require annual dental cleaning and care by a veterinarian, as many toy breeds do. How much would this care cost and can I afford it? Is this breed has a short nose, is a dwarf, or very small, or very very large? How would those things affects the cost of caring for this breed? Is this breed prone to bloat or other potential emergency costs? Can I afford these costs? Consider the lifetime cost of maintaining your dogs health and dietary needs as you consider adding a puppy. Consider common ailments, if known, and ask yourself if you could afford those long before you bring that cute puppy home. 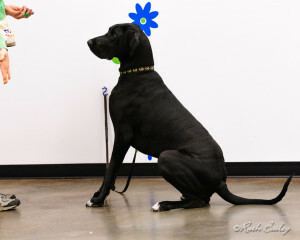 This Great Dane is very large and has special nutrition and health care needs due to it’s large size. 4. What are the expected dietary needs of this breed? How much, or how little, does a mature dog of this breed tend to eat? What type of diet is needed and how much would this cost? Can I afford to feed this dog a healthy and high quality diet? Does the breeder have a required diet, or type of diet, you must use? If so, can you afford and acquire it? 5. What are the expected breed traits for this breed? What are some positive things about these traits and what are some negative things about these traits? How active is this breed? How social and friendly is this breed? Is this breed “novice friendly”? Can this breed be predatory, or aloof? Is this breed known for being vocal? How will the expected breed traits fit with my lifestyle, experience, and family needs? For example, if you live in a multiple family dwelling like an apartment or duplex, how likely is this breed to bark? Will this barking bother your neighbors? Is your primary source of exercise for your dog going to be walking around your neighborhood? If so, will that be enough exercise for the breed you are considering? If you are going to be exercising your dog at a local dog park, is the breed you are considering going to enjoy interacting with potentially rude stranger dogs? Make a list of the behavioral traits the breed you are considering is known for, and consider both the negative and positive expression of these behaviors for your specific environment. The German Shepherd is an active breed that requires lots of exercise and training. 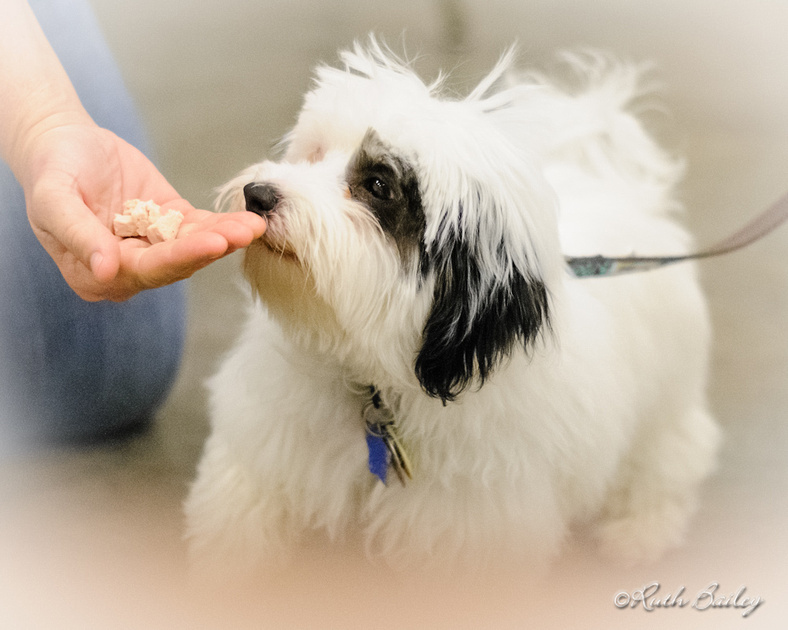 Fourth, investigate breed clubs, talk to owners, and meet some breeds. 1. Locate national breed clubs. National breed clubs are a wealth of information about a breed. 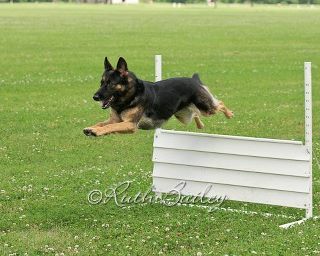 Some breeds may have multiple national present clubs, carefully read over each website. Some breed clubs have lists of breeders on their website, this list is a good resource, but don’t assume every breeder here will be right for your situation, and never assume a breeder not listed isn’t just as reputable. 2. Go and find some dogs of this breed and talk to their owners. 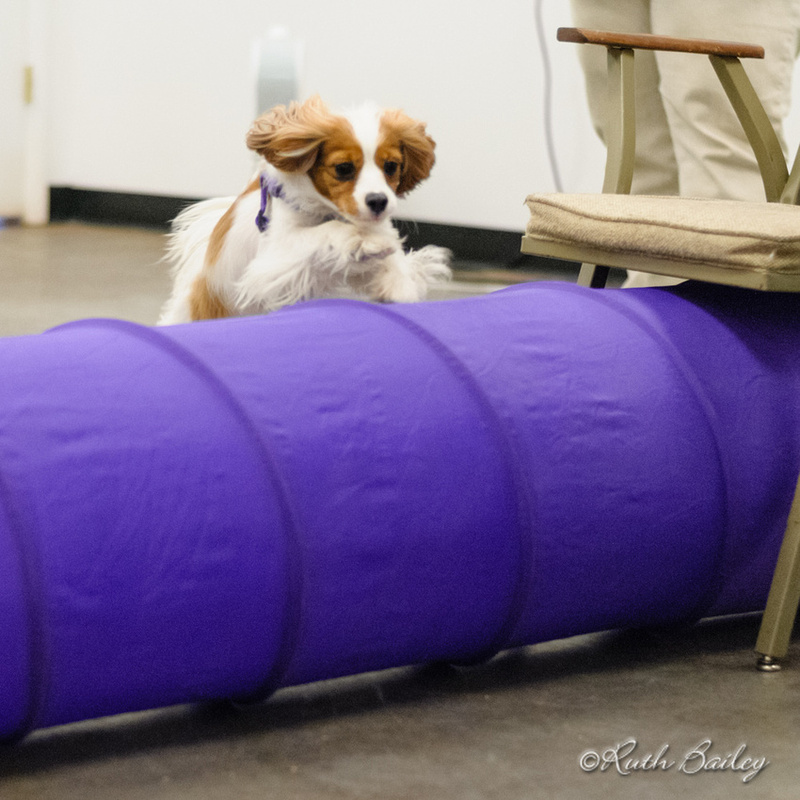 If you can find a dog show, agility, obedience, scent work, or rally trial plan on spending a few hours watching. If you see someone with a breed of interest to you, look for a time when they are not busy and ask if you might talk to them a minute about their breed or if they know someone who would talk to you about their breed. If you have friends or family with a breed you are interested in, spend a couple hours with their dog and see how the size, coat, and behavior of the dog fits with your expectations. 3. Start interviewing trainers, look for a credentialed positive reinforcement trainer. 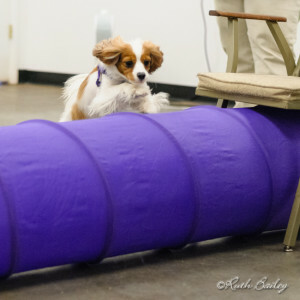 Visit some classes, as the trainer if they work with dogs of breeds you’re interested in, explore their thoughts and experiences. 4. Start asking for breeder recommendations, ask those who have good examples of your breed of interest, ask trainers, your veterinarian, and groomers. 5. Carefully consider all you have learned about the breeds you are considering. 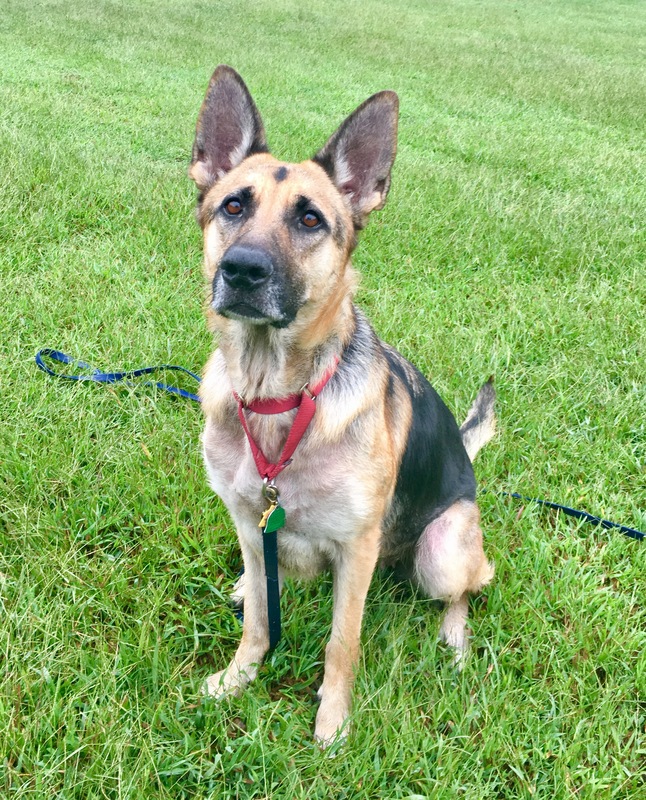 All traits are both positive and negative, depending on the situation, as you talk to different breeders and owners of these breed ask about these traits using descriptions and not labels. Finally, start interviewing breeders, and expect to be interviewed by breeders. 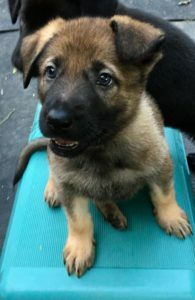 The breeder you are looking for won’t be a “point and choose” type breeder, expect to be interviewed, expect to wait for a puppy, expect the breeder will be choosing your puppy for you. You will have learned much in your research to help you as you start talking to breeders and breed experts. There are a few things that all reputable breeders share, regardless of their breed. 1. Health Testing: In your research you should have made note of all health testing recommended for each breed. Much of this information will be accessible through the Orthopedic Foundation For Animals. Ask every breeder for information on what health testing they do on their breeding dogs, ask if every available test has been done on every dog in the pedigree, ask how these diseases are inherited, are there dogs present in the pedigree who have an unknown health history? Ask for a copy of the pedigree, if it’s not posted on their website, and review all health information listed, then take that information to the OFA website and double check all dogs in at least the first two or three generations using their database. Take advantage of all the educational material on the OFA website, look up the breed you are considering, read about the all diseases tested for, and all the information provided on each disease for each breed you are considering. Some of this information can be found on the breed’s parent club website too. Be sure to read all the health information on the OFA website and the breeds parent club website before you start talking to breeders. 2. Raised in Home: If your dog will be living in your home as a family companion, it should have been born and raised in the breeder’s home. 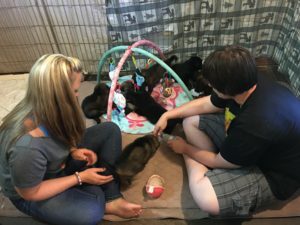 The first few weeks of a puppy’s life are critical to it’s future health and behavior, it’s very important to ask where the puppies have been living and how they have been raised and cared for. Ask very detailed questions about how the puppies are raised, what training is done, how are they socialized? Does the breeder have a puppy cam so you can watch? Does the breeder post regular updates on the puppies being trained including videos? Where can past videos, photos, and information past litters be found? How are the puppies being prepared for the transition to your home? Are they crate trained, if so how? Take time to invest purchasing and watching the film Puppy Culture, this will give you a detailed puppy raising protocol so you will understand what types of things the breeder should be doing when they raise their puppies. Watch the film before you start talking to breeders and ask lots of questions. These puppies are socializing with people in the breeder’s home, at 3 weeks of age. Being raised in home is a good starting point. 3. Bred to fit your lifestyle: There are lots of different breeds, varieties, and sub groups within breeds. Many of these have very different traits, both physical (for example, more or less coat) and behavioral (for example, friendly or aloof.) 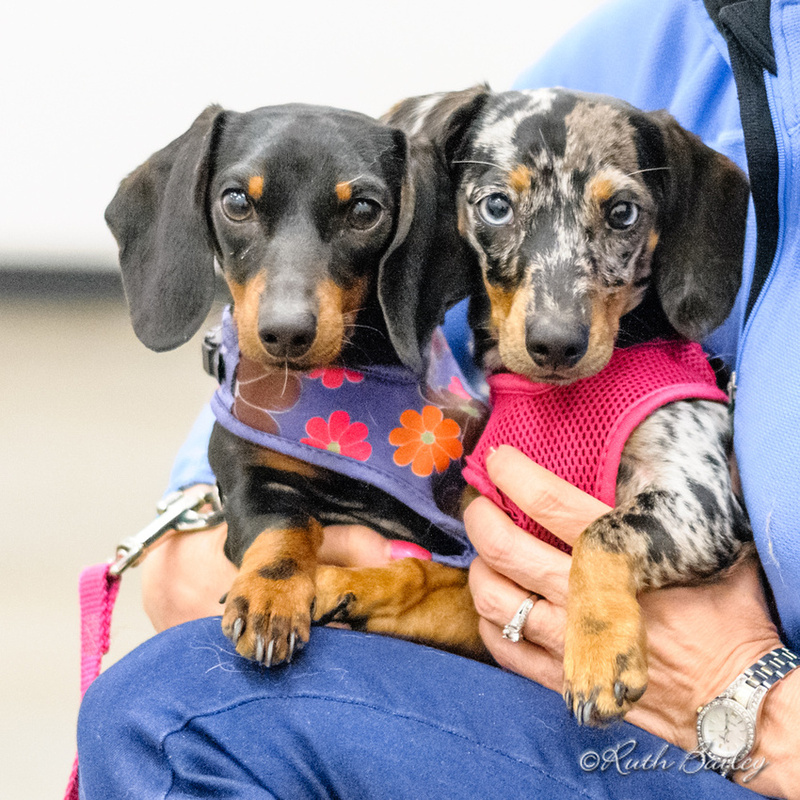 If you are looking for a family companion that fits YOUR family’s particular situation and needs, do not assume every breeder will be selecting for behavioral traits that fit your needs and not their own needs. Always ask each breeder what behavioral traits they value, why they value them, how those traits express themselves. Further, ask them how they see an adult dog with those traits fitting into YOUR lifestyle! Some breeders focus on working or performance dogs, others show dogs, others breed primarily for companions. No matter what breeder you choose, don’t expect the puppy you get to be an easy companion dog if the parents were not. Be sure you know what your lifestyle needs are before you start talking to breeders, a trainer can help you with this step! Do not expect the breeder to understand what you need, put some thought into understanding your lifestyle and situation, ask the breeder if they are breeding dogs to fit what you need, that is more important than being a Champion, a hunting or sport dog, a detection dog or anything else. A responsible breeder does not want a mismatch between the owners needs and the dogs traits, but they can’t know what you need if you don’t tell them or they don’t ask. This Cavalier is bred to be friendly, outgoing, and active. This is a perfect fit for her family! 4. Interested in your and your situation/needs: Any reputable breeder is going to be Just as interested in you as you are in their dogs. Expect to answer questions, lots of questions, some may seem personal, many breeders will want you to complete a questionnaire as the first step. This helps the breeder know if you are a good fit for what they produce. Look for questions about your lifestyle, who lives in your home, your yard, past pets, your training interest, and many others. Be sure to express an interest in what questions the breeder is asking you, there are often hints here that tell you what traits the breeder produces. Be ready to provide references, usually from your vet, a friend or two, and if you rent, from your landlord or property manager. But they grow into large powerful dogs whose traits will not match with the needs of every family. 5. Is willing to answer your questions and provide education. Once you have answered the breeder’s questions, ask if you can ask questions of your own. Any breeder you consider should be happy to answer your questions about the breed in general, and their breeding program in particular. Ask questions about what physical traits they value and strive to produce. Just as important, ask the same questions about behavioral traits. A good breeder is both a wealth of knowledge and a willing teacher, they should be happy to talk to you about their breed, their dogs, and their breeding program. If a breeder refuses you, don’t be offended, thank them because that means they don’t think their dogs are a good fit for your needs, instead, be sure to ask them why. Maybe the breed isn’t a good fit, or maybe that breeders line, most breeders will be willing to help you understand. 6. Stand behind their puppies. Reputable breeders are going to offer a contract when you purchase a puppy from them. Expect a health portion, some requirements for you, and more. The most important thing to remember on this subject is to ask for copy of the contract before you commit to a puppy (if it’s not already posted on the website) and READ IT CAREFULLY and don’t be afraid to ask questions about it. Talk to an attorney if you have questions, read and be familiar with your states law pertaining to puppy sales. 7. Are a safety net. If you can’t keep your dog for any reason, a reputable breeder will take it back. When Ava’s owner lost his job and was unable to find another, he became unable to care for her. 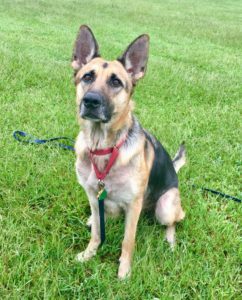 Her breeder took Ava back into her home, performed some needed health care, and then found her a loving new home. Finally, it’s in your conversations with breeders that you will move on to the final phase of your research. Good breeders will be willing teachers, often sending you to detailed breed specific educational sources, recommend shows or trials for you to attend to meet other people interested in your breed of interest. As you move through this process, designed to help you identify what breeds are potentially a good fit for your situation and needs, as you talk to fanciers of these breeds, investigate your time in thinking about your needs and how those might fit with various breeds, and finally start talking to the breeders themselves it will become easier to identify truely knowledgable, responsible, and caring breeders. It’s from this list of breeders that you may eventually bring a new puppy into your life. That is where the work of the breeder ends, and your work begins! Here are some things to remember about good breeders. 1. Good breeders value your time, please value theirs. Don’t expect a breeder to do your breed research for you. Research first, then bring your questions to the breeder. 2. Don’t ask to be placed on a wait list if you are not serious about obtaining a puppy from that breeder. 3. Raising puppies takes time and expertise and it cost money, avoid breeders at the bottom, and top, of the price range for your breed. If a breeder is much less expensive than average they are cutting corners, a breeder that is priced much higher may be taking advantage of you. Especially if that price tag is tied to a “rare” or disqualified colors or coats.